Discoloration, misshapen teeth, gaps. People who are self-conscious about the appearance of their teeth and gums often find themselves hesitant to smile in public, keeping their mouths closed in photos and even covering their mouths when they laugh. 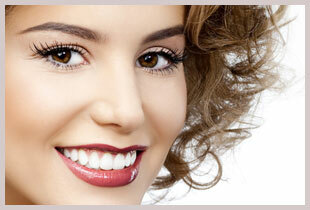 Fortunately, modern dentistry offers many tools to create a customized smile makeover treatment plan. But a smile makeover is part art and part science. Skill matters. Dr. Lipetsker is proud to be one of the top cosmetic dentists in the north east. An experienced, skilled cosmetic dentist, Dr. Lipetsker will identify the least invasive procedures that, in combination, will yield the most stunning results possible. Sometimes! Some patients are great candidates for a dramatic Smile Makeover that can be done in one day. Others’ goals can be realized with just a few visits. Orthodontic corrections will need more time. Dr. Lipetsker is skilled in a variety of cosmetic and orthodontic treatments, including Invisalign and Six Month Smile, and will work with you to construct a treatment plan that meets your dreams and your timeline. Schedule a consultation with Dr. Lipetsker to discuss your smile.